"I’ve always maintained that motion is life. To be constantly running, traveling, connecting, learning, growing...these are the activities that are vital to a happy life. To that end, I developed an early love of running. There is nothing more simple, basic, and empowering then being able to travel miles by kicking the dirt beneath your feet.Losing that particular aspect of my life was one of the more difficult realities of this injury to cope with. BUT I was still breathing and I was determined to get around and cause some trouble. 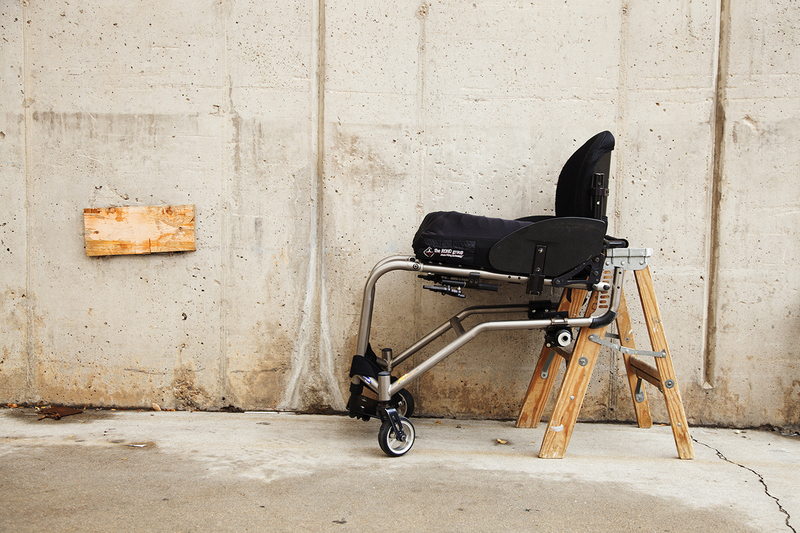 I remember the day my new chair finally arrived at the VA. She was Titanium, black and chrome...the Invacare A4. At that point, I still had hardware screwed into the bones of my legs, helping them heal properly back into place. So she (Mancha...I had not named her yet but for the sake of clarity) sat in the corner of my hospital room. Late into the night I remember looking at her and feeling a mix of emotions. She was beautiful, BUT I HATED what she represented. A new type of life that I never wanted. Everything about the chair seemed an exact opposite with how I used to live my life. I loved running so much that apart from running 4 - 10 miles everyday, there would be moments when I would be running to get from place to place. I love hard work, endurance, speed, and efficiency and nothing about the chair screamed those characteristics. So there she sat...I resented her the whole time. Eventually the day came when I was finally able to use her. Right away I noticed the difference between the other chairs I was using (hospital chairs) and Mancha. She was agile and smooth. She was efficient and in no time, I found myself whizzing through the hallways of the VA nearly taking out nurses and doctors as I zoomed around each corner. As I became more adept at working with her, I realized how tough and strong she is, given how light she is. I would jump down curbs, pop up curbs, go down stairs, climb up stairs. An in the moments when I would make mistakes and took a tumble, she proved to be resilient, most times coming out without a single scratch. She is now my constant companion. She gets me into and out of some interesting places...into and out of the path of some engaging people and strange characters. I started off hating what she represented. And even though I would still rather be running or walking, she is always with me... helping me stay in motion. 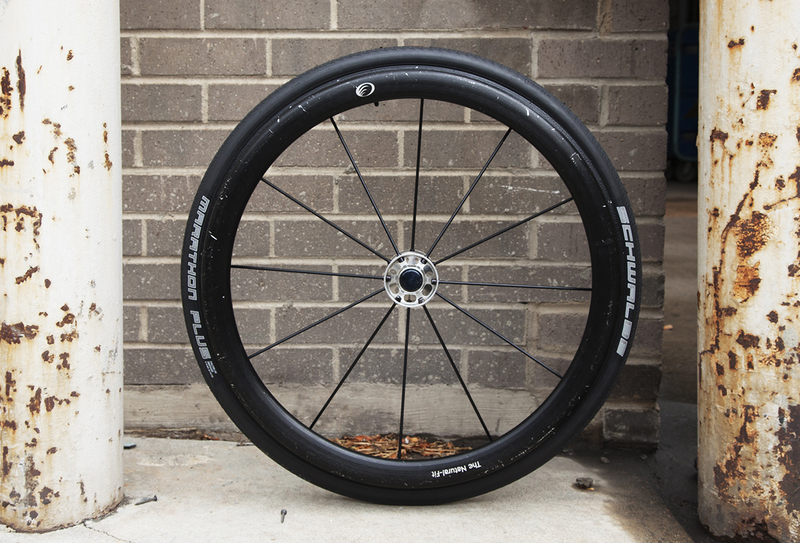 Her wheels: black rubber, black spokes, and a chrome hub... the black hand grips. These are like the main rotor of a helicopter. I am the engine transferring that power to the wheels and they propel me forward. They give me the lift I need to get around in this world. The frame: Titanium...light but strong. These are the bones of Mancha...stronger than mine ever were. BUT they have to be for the countless times I’m folding her up...tossing her into and out of the car. The frame takes every shock of every step I climb up or go down...the shock of every curb I drop from or pop up onto...OR on rare occasions when I steer us wrong and take a spill, the frame absorbs the crash and keeps her together. So that I can crawl to her, pick her up, and lift myself back into her. There are a lot more pieces and parts to her BUT (to me) that’s the core of what makes her work. I have learned to love her...BUT I still hate that I need her. That’s how she was named. “Mancha” means “stain” or “mark” in Spanish. She is always with me. Don’t mistake what I’ve said as the equating her with my identity or as what defines me. As in any relationship, you should always define yourself. Who you are should always be apparent...whether you are alone or surrounded by your friends and family. They don’t define me...I define me. But they support me...they allow me to be my best...they mark me. So, the next time you see me whipping around that corner, understand this. Although she is a stain...a mark, she is just further proof and evidence of what I’ve overcome...what I’ve endured...and a sign that I will make the most out of any situation."